All dentists, even trainees, are required to provide treatment to a minimum standard of care and if you receive inadequate or inappropriate treatment that falls short of this standard, then Cohen Cramer Solicitors can help you to claim compensation for any injury and loss that may result. We are experts at dealing with such matters and we can help you claim the compensation you deserve. Dental negligence claims can be complex issues and we will guide you every step of the way. Before advising you on the amount we believe your claim to be worth we will assess your injuries properly. We are specialists who deal with facts and we don’t like to make guesses or give rough estimates. Your claim is individual to you and should be treated as such. We can deal with your claim on a No Win-No Fee basis so if for any reason your claim is not successful you won’t pay us a penny for the work we have done on your behalf. How will my claim be dealt with? 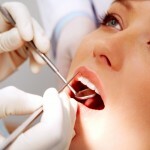 If we think that you may have a claim the first thing we will do is obtain your dental records. These will then be reviewed by a dental specialist who will give an initial assessment as to the causes of your problems. We will then take a view as to whether we are in a position to help you with your claim. If we are not able to help you we will let you know and give you a full explanation why this is. If we are unable to help you then you will not have to pay for the assessment or any of the work we have done for you. As mentioned, dental negligence claims are rarely straightforward and so we need to make these enquires at the outset so as not waste your time pursuing a claim that has no chance of being successful. If we do feel that you have a good chance of success we will start your claim against the appropriate dental practitioner and their insurer. When an admission of liability is obtained we will obtain a further report that sets out the extent of the damage sustained as well as the cost of any remedial treatment both immediately and in the long-term. In addition we will look to recover any lost income as a result of time away from work for recovery and treatment as well as all and any other losses arising from the incident.